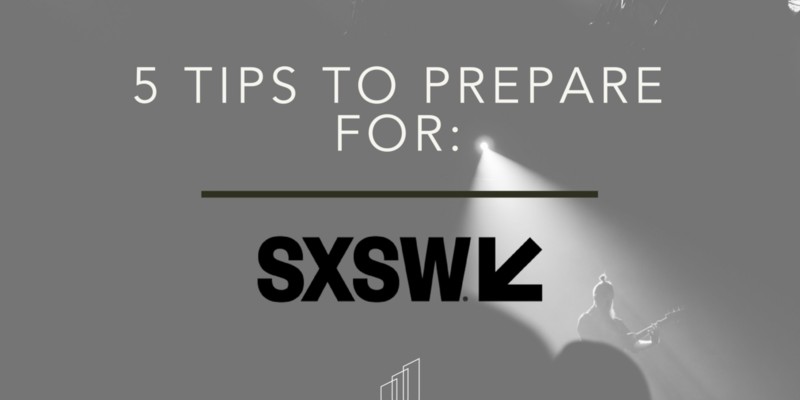 5 Tips to Prepare for SXSW - The Knowledge Base. SXSW is one of those events that has become synonymous with the music industry. The festival and conference is one of the best known events in the US that centers around technology and music. But did you catch that? Festival and conference? It’s even in their name. While SXSW is known internationally- many creatives still approach SXSW as just a festival, and pass up the networking opportunities and more that exist on the conference end. Many artists hand out CDs on the corner, or post on social media – hoping that by chance – the “right people” will just stroll into their showcase. Maybe it’s a writer, a label head, a music supervisor. But this is all by chance. However… there’s networking events all week, where these “important people” actually go to meet artists like you. So why are you standing on the street corner, or tweeting about your event – when you can be getting actual facetime with these individuals – inviting them in person? Or better yet – you can pitch them a few weeks before SXSW (which we’ll discuss in this article). I discussed SXSW last year in an article on the lessons I learned taking an indie label to SXSW. I spoke about the music supervisor I met loading in gear who landed us an MTV spot, I spoke about the issues in pay-for-play gigs at SXSW, and more. The event can be a huge boost for your career – but you need to know where to focus. There’s a lot going on – events, crowds, speakers and showcases – here’s how to drown out the fluff, and properly prepare for SXSW. Tip 1: Build a Media List + Contact in Advance. As I said earlier – why wait for the right person to walk down the street, when you can genuinely target them and reach out to them before hand? If you work for any large company – what do they do before a conference? They (or their publicists) compile a media list to see what writers and reporters will be attending the conference. Next they email the writers before the event – inviting them to their booth. Now replace the word “reporters” with music writers/A&Rs/management teams – and the word “booth” with your showcase – and now you’ve cracked the code. What if you don’t have a showcase? That’s fine – still introduce yourself for maybe coffee or drinks at a mutual show. Unfortunately, SXSW doesn’t have a publically available media list like some conferences. However with some resources – or some good ole’ fashioned Googling – you can make it work. First – check out tools like PitchZen – they research media connections on a customized basis, all humans, not robots or directories. They can surely assist you with customized lists for SXSW. They help write the pitches, too. Secondly – if that’s not a route you wish to take – simply search which writers have covered SXSW in years past, and start compiling a list. The list should have their name, outlet, and a link to the article they wrote. This list is just for your reference. Go deeper and go to ZoomInfo (for emails) or even Twitter to find info for other industry folks that may have attended in past years. Add those to the list, too. Lastly – hit ’em up! Send them a short email telling them about yourself, your showcase (or work) and a link to your EPK. Keep it casual and quick – but also give them resources to make them want to come meet you. Tip 2: You have $250 to spend … buy onto a showcase, or buy conference passes? Look, I mentioned this in my past article – there’s a difference between playing at SXSW at an official showcase and playing during SXSW at an unofficial one. An official showcase is one that SXSW approves of, they help market – and they give passes to media, and promotes official shows to media (and other influencers). SXSW official showcases will never ask you for money to perform. SXSW official showcases are not pay-for-play. An unofficial showcase, is usually a nearby venue, who is renting out their space to a promoter or someone else. Usually they charge you money (to perform your own work.. yep), and are just looking to make a quick buck off of hungry artists. Side Note: Do good unofficial showcases exist? Yes. Especially ones that don’t charge. Some big brands have unofficial showcases (and they don’t charge artists) – they just likely missed a deadline with SXSW, or some other technicality. So – let’s say you are going to Austin with $250. You can upgrade your passes for a conference, or pay to have a 15 minute set at an unofficial showcase. These unofficial shows usually have 30+ artists performing in a single hour, you can’t sell merch and they aren’t well put together. They also aren’t marketed by SXSW. If you’re short for cash, spend that on the conference. There’s networking events, there’s talks from music industry execs and panels from marketing experts. That knowledge is worth much more than performing for 30 people and never seeing that return on investment. 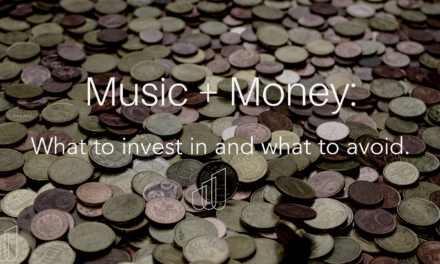 Tip 3: Spend money on marketing/education NOT CDs. If you go to SXSW – you’ll notice that the streets are littered with tossed aside CDs. 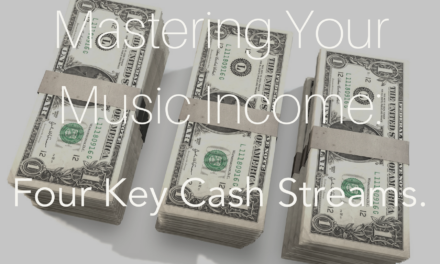 Now – as an indie artist – you should know that every CD laying on the ground is money. Literally dollars upon dollars – wasted. Laying on the streets – for the sanitation department to sweep up the next day. So – as you prepare for SXSW, think wisely about what will make the best investment. Is it buying onto shows? Pressing 100 CDs? Or something a bit more direct. For instance – instead of pressing 100 CDs – how about spending that money on Facebook or Twitter ads – targeting people who follow, or have tweeted about SXSW in the past? Or – instead of pressing CDs – how about investing in a publicist that can link you with reporters directly that week, instead of hoping one falls in your lap? Or – and to repeat myself now for the third time – instead of pressing CDs, how about attending the conference and meet with decision makers face-to-face? Tip 4: Find other artists who are performing + link up! Hey! Under the veneer of labels and A&Rs and all this smoke and fanciness – the power largely still resides in the artists. That why services like TuneCore, Landr and other tools are so powerful. You may not be able to track down the super-busy Billboard magazine editor at SXSW, or the management company CEO – who’s running around checking on all her acts. However, you’ll likely be able to easily connect with other artists. They’re usually pretty open to it, too. In fact, I’ve been part of and seen many financially successful tours or just co-promo situations when artists come together. Even if it’s grabbing a beer before someone elses show – go and meet other artists. You may find a new touring partner, or even a new manager – or at the very least, swap stories and learn. Check the SXSW artists page – or even your Twitter feed to see which artists are headed to Austin, and see if you can meet up – or even just go support their show. Tip 5: Of course – get your marketing right. If all goes well – you’re going to be sending people to the Googles or to your social media. So – ensure that all outlets are active. Ensure there’s a good mixture of music/fun/and promo posts on all your pages. Also make sure your EPK is up to date – upload any and all photos, videos and more. Also – research what makes a “quality” EPK, too. No more PDFs, folks. Web-based, mobile friendly EPKs are the wave. As I mentioned before – spend money on social media ads, and build up your numbers and presence while in the city. I can guarantee there’s very “big name” artists at SXSW that aren’t geotargeting ads to Austin for their shows. Ensure your digital presence is right – and that people are aware of your physical presence at SXSW. All social channels are current and active. Social media ads – geotargeted to Austin during the event. Social media posts scheduled when you’re on the road – so you don’t have to manually post them. Custom graphics for your performances. Yep – let’s get a little cheesy. I had a former client of mine hit me up recently. We designed a merch campaign together – and he’s making some good income on merch. But he also knows I’m very anti pay-for-play. He let me know that he’ll be in Austin for the first time for SXSW. He bought tickets to attend a few networking events – but he asked about all the pay-for-play offers he was getting. It was cheap – especially for his budget, and two of his friends were performing at the unofficial event. He also had meetings set up with editors, and a booking agent. All meetings he set up beforehand. So I told him – I don’t advocate pay-for-play – but if you have meetings with writers, potential booking agents, if you’re spending time with artist friends – if you are going to the conference – spend your change on playing that 30 minute set, and then go enjoy Austin and the SXSW scene. Artists are lucky to get to see and experience parts of the country that folks in an office can’t. So – get out there. Austin is one of the most unique cities in the country, and the live music capital of the world. So – why not? Pencil in time to go to the SXSW conference events, to meet with fellow artists – but also get out there, enjoy the food, the culture, (the bats) and everything else that makes Austin and SXSW great. Previous5 Tools to Becoming Your Own Music Publicist.